Founded in 2010 by Artistic Director Jessica Hardy, the Chicago Comedy Film Festival mission is to support comedy filmmaking as a vital and influential art form. Presenting films ranging from low budget to studio quality features, the fest champions strong voices in comedic storytelling. The Executive Director of the Festival, for the eighth straight year, is Brent Kado. The Opening Night Film on Friday, November 9th, is “Care to Laugh,” a heartfelt documentary on Jesus Trejo, a rising star in the stand up comedy world, as he combines his show business journey with an overwhelming amount of care for his aging parents. Trejo will make an appearance and do a performance at the Opening. 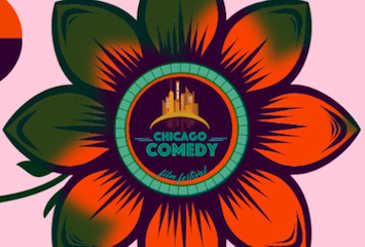 In the following Podtalk, Executive Director Brent Kado offers a preview of the Chicago Comedy Film Festival, and talks about the nuts and bolts of the comedy films showcased at the Fest. The 8th Chicago Comedy Film Festival runs from Friday, November 9th through Sunday, November 11th, 2018. The general film programming will be screened at Columbia College, 1104 South Wabash Avenue in Chicago. For complete details click here.